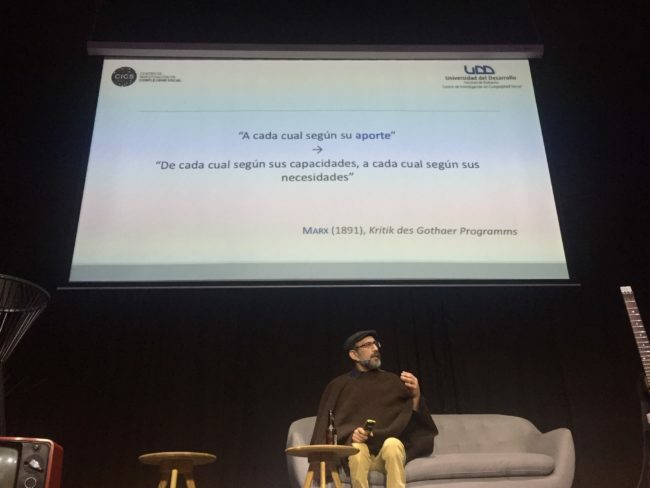 Carlos Rodríguez-Sickert, director of the Center for Research in Social Complexity, presented at the IF Theater about the emergence of meritocracy in a Market Society from an approach that included modeling social behavior along with Network Theory. The marathon celebrated a year gathering scientific topics in a relaxed space for the general public. 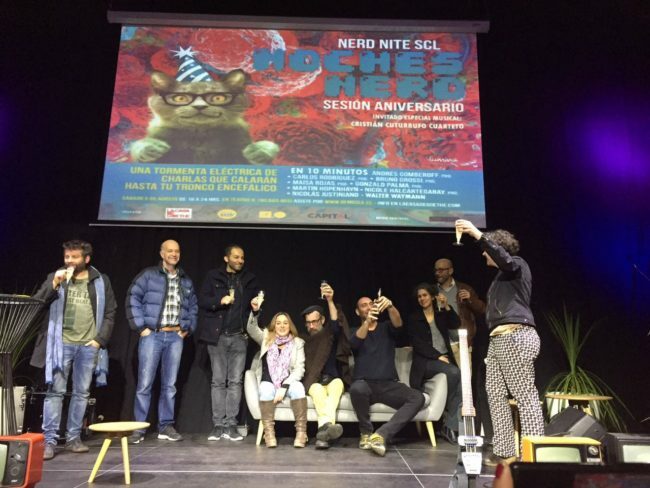 The aim of the Nerd Nites is to approach disciplines such as theoretical physics, climatology and social sciences through quick and entertaining talks, 10 minutes each, to reach a non-specialized audience. Under the name “Topocracy versus Meritocracy” Carlos Rodríguez-Sickert participated in this experience to examine how these models of behavior are generated and how much they depend on the things that each person has or on how much they contribute. This idea was born after a visit of Carlos to the offices of the MIT MediaLab, where the physicist César Hidalgo commented to him that the Center had developed the mathematical part of the model of transactions embedded in a social network. Then, in Boston, they developed the paper. “The position in the social network determines the emergence of meritocracy in a talent market. However, we do not live in an economic model of general equilibrium. There are links and intermediaries that have an impact on the social network. In this sense, Technology can be a tool in meritocracy because it contributes more networks and intermediation”, explained the Director of the CICS to about 400 people, according to the organizers. In the event, that lasted for 6 hours, Carlos shared the stage with other well-known science communicators like the physicist Andrés Gomberoff, who exposed on black holes, and Bruno Grossi, doctor in evolutionary biology that conversed on the importance of the size of an organism to develop in its natural environment. Log in | 68 queries. 0.235 seconds.